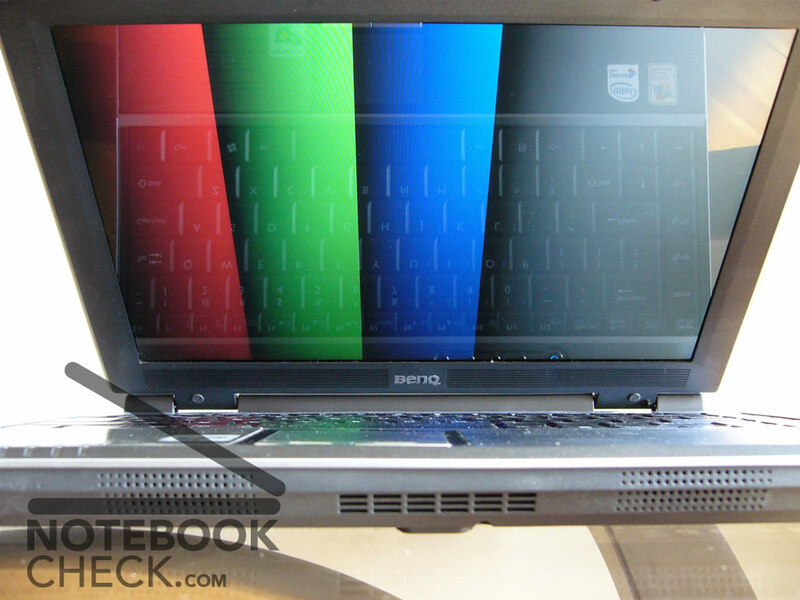 BenQ Joybook S61 is the first subnotebook with an integrated TV tuner. However, its most appealing feature for us was the armor with ferruling metal borders. 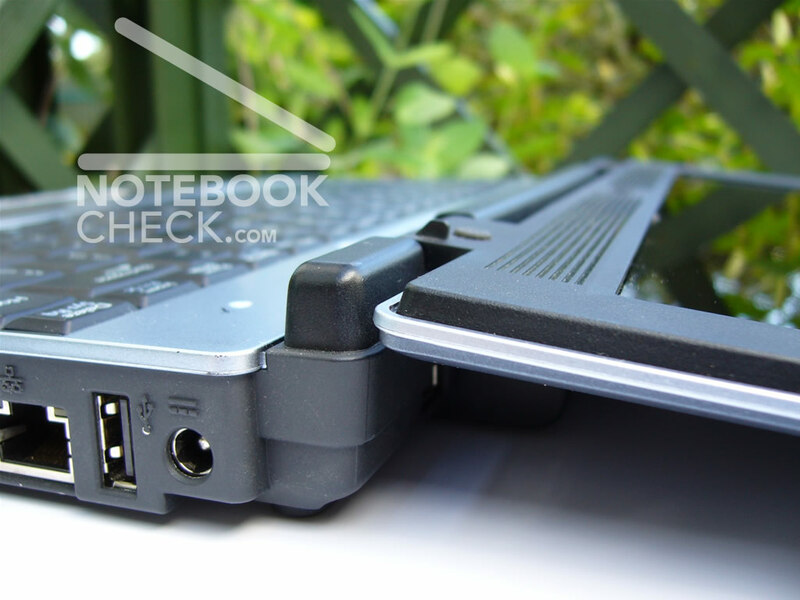 The design of Joybook S61 seems quite interesting at first sight. One has to appreciate its mellow, pastel colors . The grey-subdued navy blue of the lid harmonizes well with the charcoal grey of the back and the sides of the base unit. 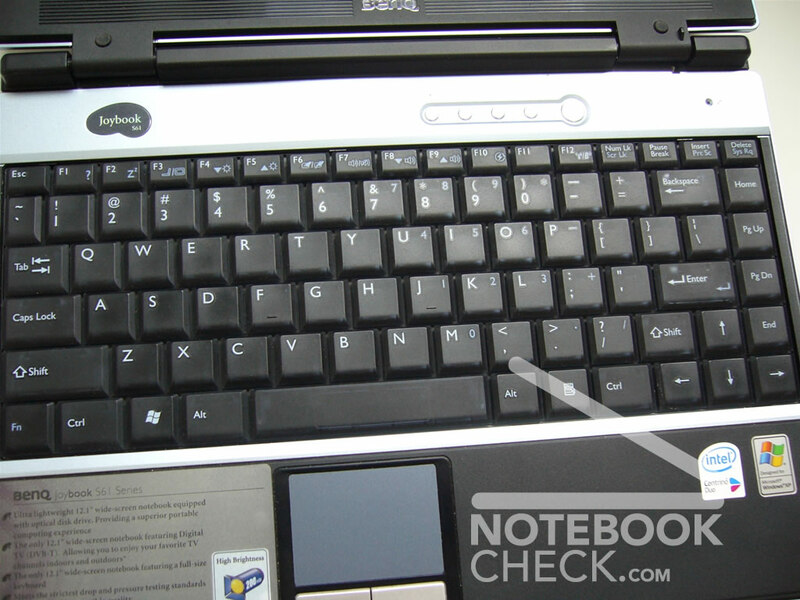 After opening the lid, without the need of using the latch (there is no closing mechanism), a charcoal panel with black keyboard unit and silver fittings is revealed. Above the keyboard there is also a silver plate with embedded Joybook S61 logo, five buttons (a power switch among them) and an integrated mic (which, by the way, isn't any good - if we'd like to chat via included Skype software, one should resort to an external microphone). Those four additional buttons alongside the power switch didn't impress us - they resemble those unfortunate awkward buttons of early Japanese electronic watches, which tended to painfully stab your fingers . Their function is rather strictly ornamental and they don't encourage to use them. The designers went over the top with their fancy. No such an exterior extravaganza is to be seen on the back end and on the downside. The designers showed no finesse in these areas, so the good impression made by the looks of the front side is somewhat spoiled. 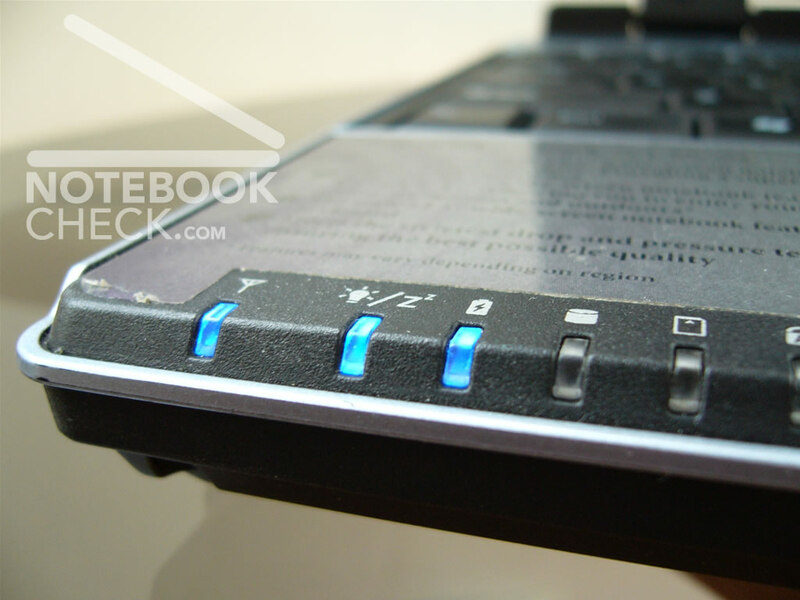 Thus, the battery's shape brings up memories of long bygone times. We've noticed some more little shortcomings. 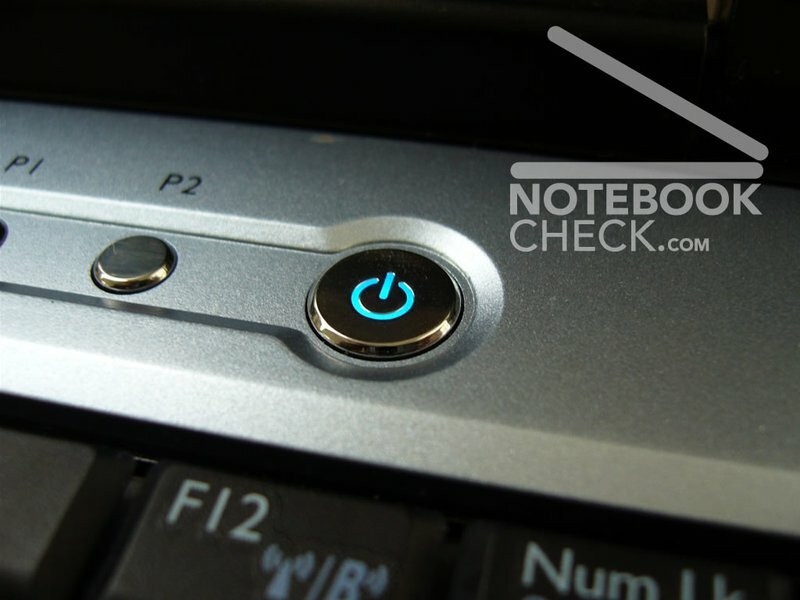 For example, it is difficult to pull out the power adaptor's plug and one has to struggle with it. Uncolored interfaces make their use difficult, but this problem surely fades away with time. The DVD tends to get locked from time to time and refuses to open properly. 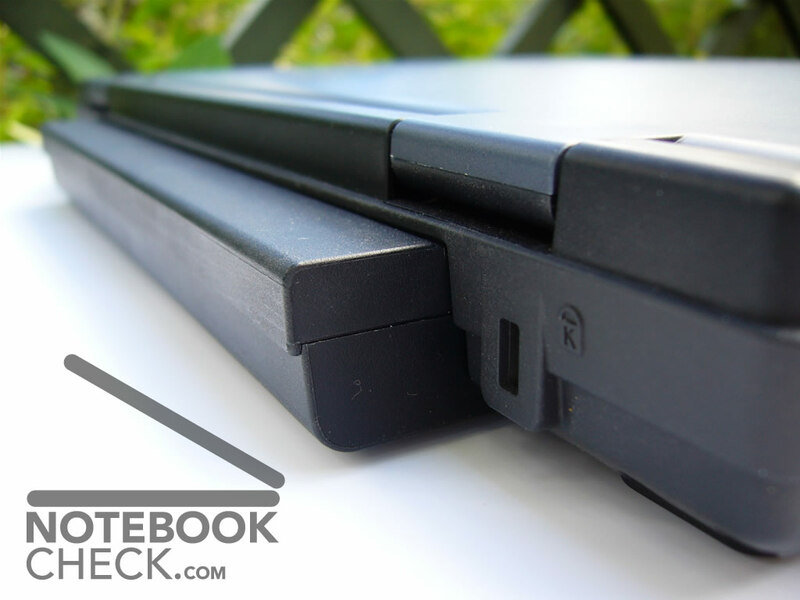 But the good overall attitude to Joybook S61 is determined, if we consider its magnesium alloy chassis and its metal bracings. They make one tough customer out of it (it can withstand a burden of 50 kilos and survive a fall of one meter). The rigidness of its build is remarkable. Therefore, one shouldn't be afraid to take it outdoors even in rough terrain. It is so solid, that it'd rather bruise us than become damaged. We didn't encounter any loose parts or rattle, with the exception of battery, which is wobbly after joining it with the equipment. Similarly, there is no susceptibility of bending, apart from the DVD drive area, where the chassis gives way, if one clenches it. The top of the lid is not as rigid as the base unit, but it is natural due to its limited thickness (it measures only 9.5 mm). Some impatient users may find annoying the fact that the lid snaps loudly when being closed (if one doesn't hold it until the very end). The interfaces arrangement can be generally judged as satisfactory. The only inconvenient feature is their high density. Still, the designers should be excused - they had no room to maneuver. 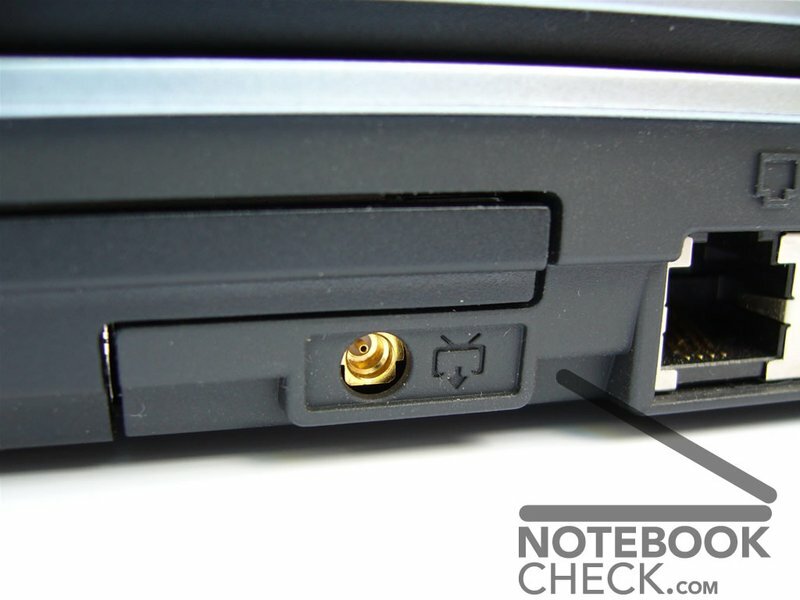 On the left side there is a mini-Firewire port, an USB 2.0 connector, a pair of audio jacks (for headphones and microphone) and a VGA output. 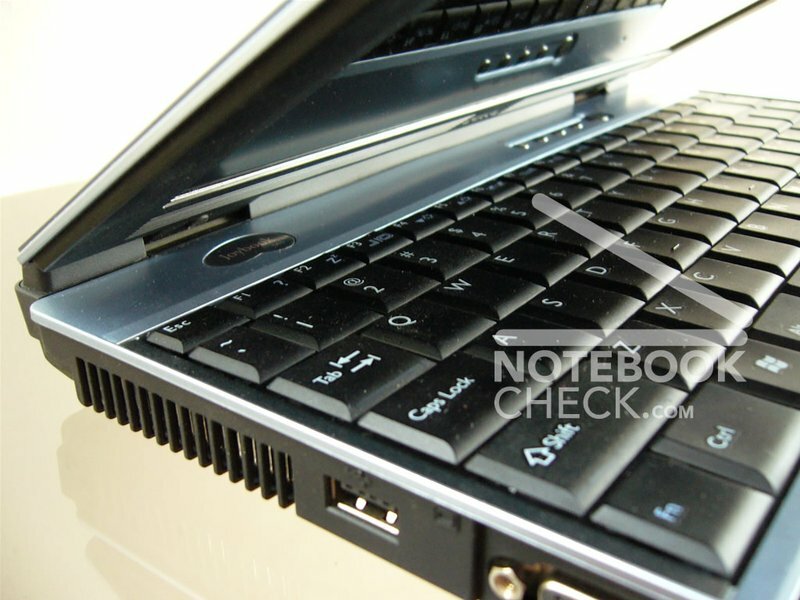 The back, apart from the battery unit, seats also another USB port. The third one is to be found on the right side, where the LAN and modem ports, a TV tuner socket for an aerial (we couldn't test the tuner operation due to the lack of the antenna, which we haven't got) as well as the 5-in-1 memory card reader are situated. 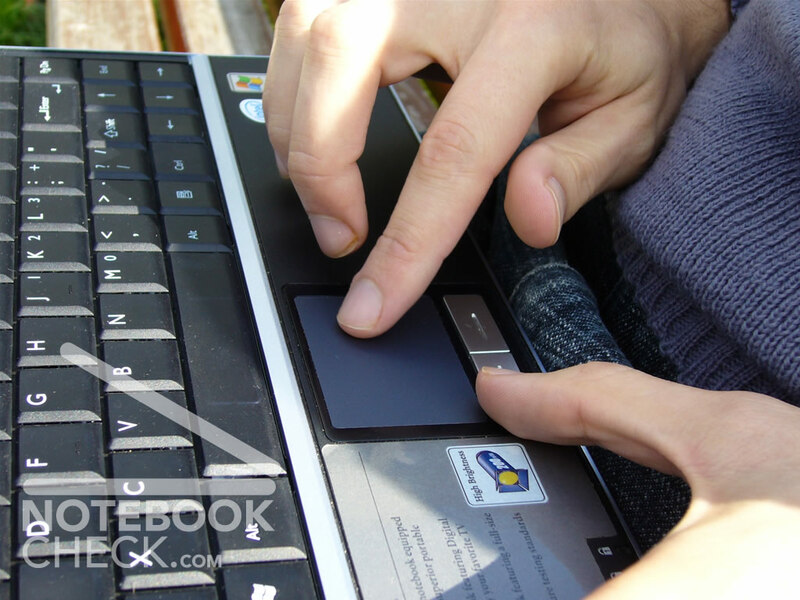 The keyboard of Joybook S61 covers the whole width of the operating platform, which is the right choice for the equipment that small. Due to this it was possible to find enough room for sizeable keys - the letter cubes are even broader than those in a standard desktop keyboard (more than 19 mm wide). 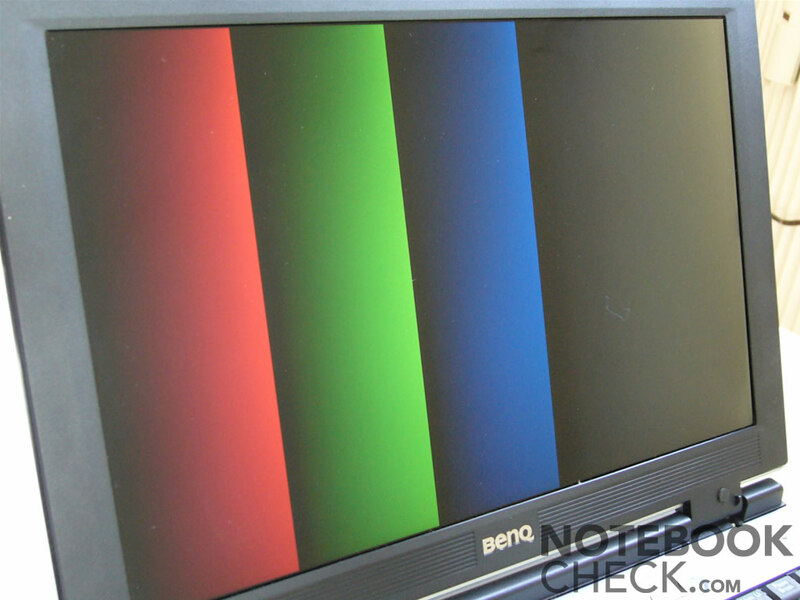 In their promo BenQ assure, that they have put much stock into designing them, in order to make them as user-friendly as possible. So, the forward edge of each key has been contoured so that the fingers can move more smoothly around the keyboard. 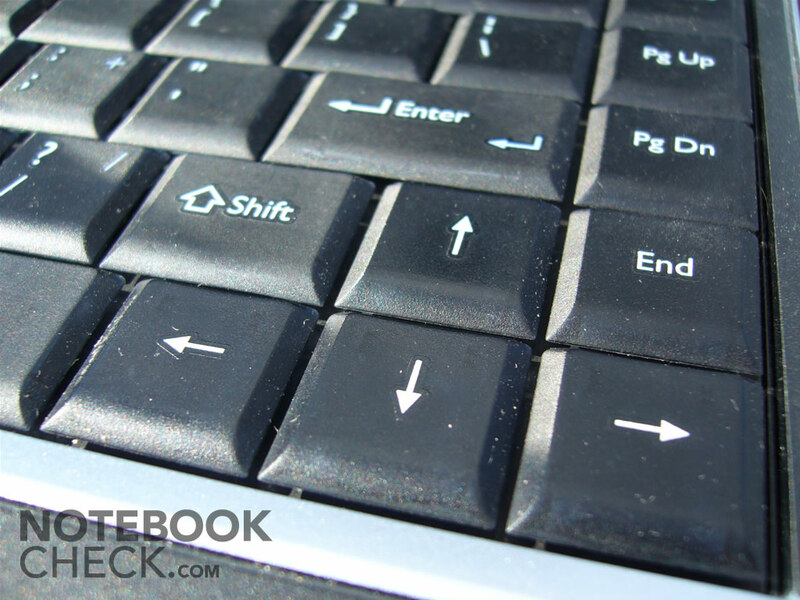 One can really feel the engineering effort, as the keyboard serves really well. Despite all this fuzz about ergonomics, the designers proved unable to avoid some cardinal errors. First and foremost one has to deplore the diminutive right Shift. The tilde key of half of the normal size prompts a touch typer to push key 0 instead of 9. We'd love to see a larger, uppermost extended Enter. The list of drawbacks is longer. 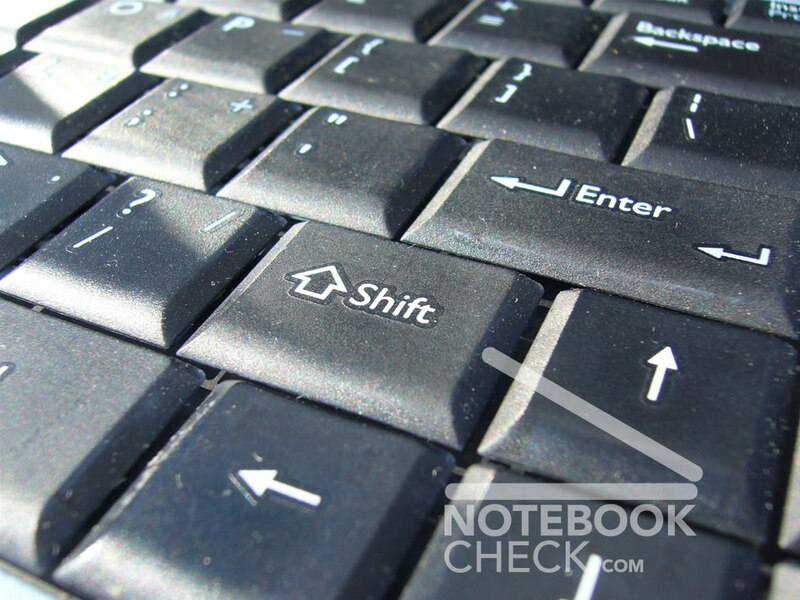 We were disgusted to encounter a loud clatter of the right arrow key. 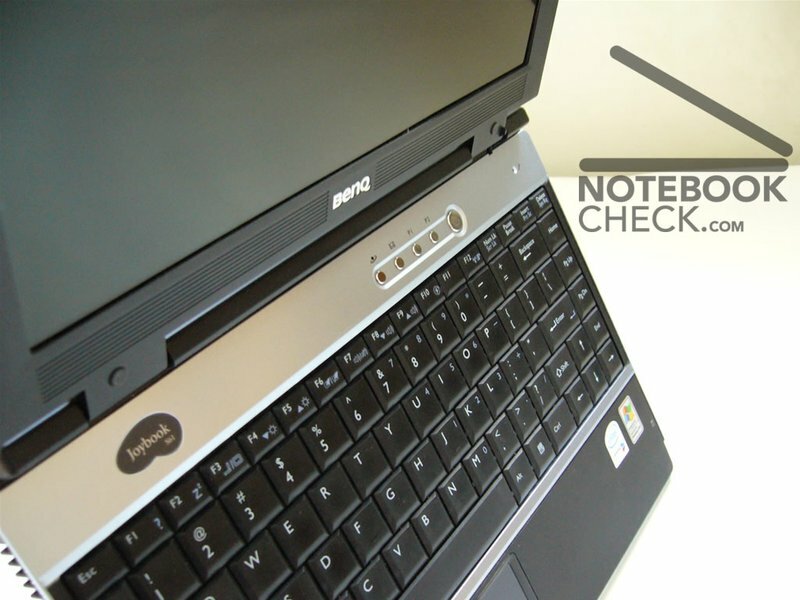 Such a flaw is unbecoming for a laptop with middle class aspirations and of this price tag. It's also somewhat pitiful, that with specific light conditions you can see through the keys. 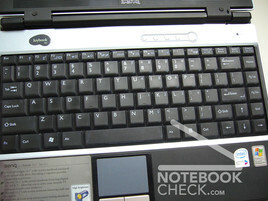 One has to add that the keyboard bends a little in the range of 890 - UIO - JKL keys. 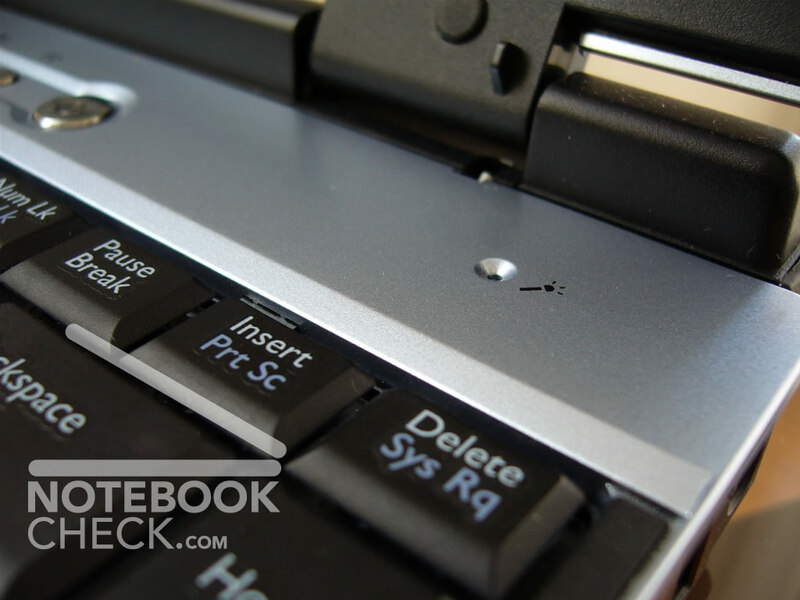 Generally speaking - the keyboard, which got the makings of a really nice input device, was spoiled by a few simple errors, which should have been spotted and eliminated at the drawing board. 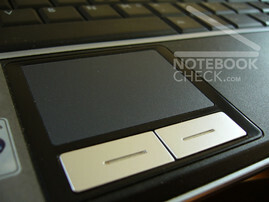 It would be enough to say, that the Touchpad is teenie-tiny and its function can be only auxiliary at best. However, its diminutive size wasn't hampering for us (it could be for someone with plump fingers), and its accuracy was adequate. Although the producer brags about its zero-gap technology (designed without a ridged edge), we've noticed that its border is apt to becoming a haven for dirt and dust. While it's decentered (put a little bit to the left) and without ridge, at first we might look for it somewhere else than it actually is. The author tried to glide the finger on the chassis once or twice. 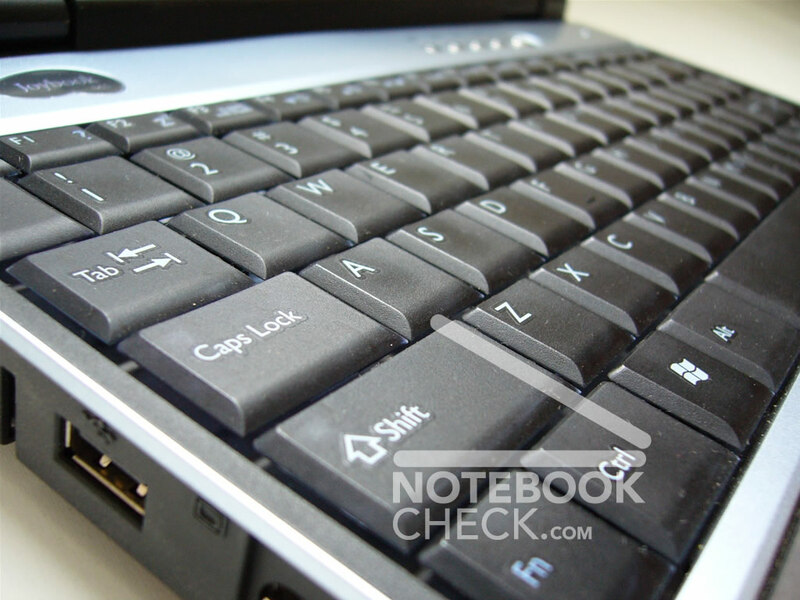 The accompanying keys are not a reason to cheer about - their drawbacks are small size and a loud click. 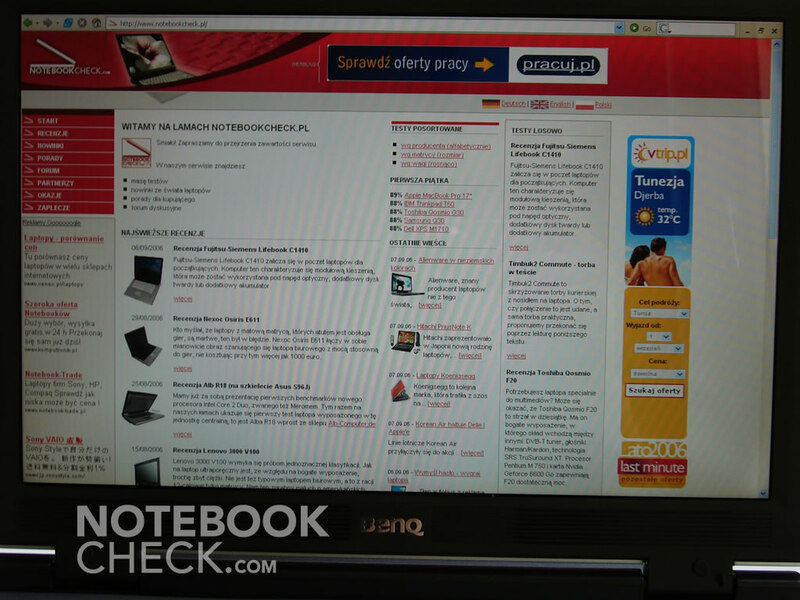 A widescreen 12.1" panel with a resolution of 1280x800 pixels is a strong point of the tested laptop. 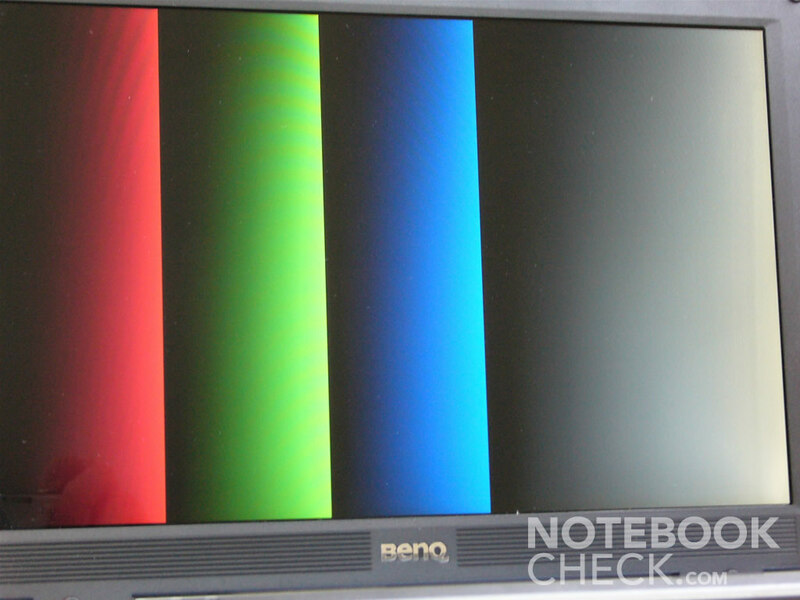 After all, BenQ ranks among top LCD monitors producers and it is reflected in the quality of the Joybook S61 screen. 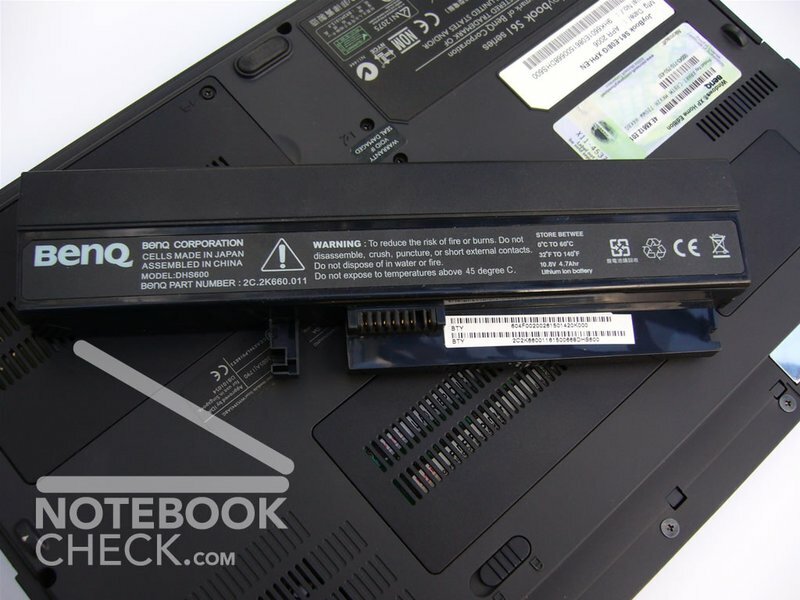 The maximum brightness of 157.2 cd/m² is more than a decent value for such a small notebook. 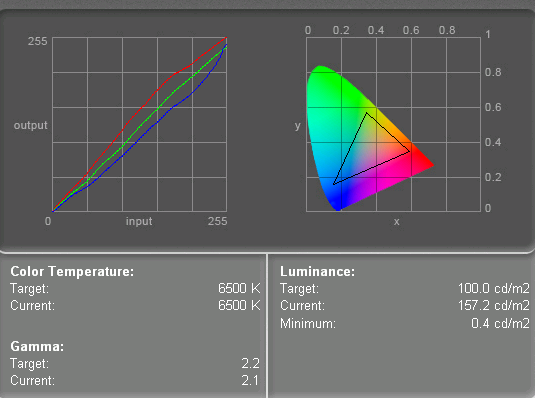 The illuminating is also decent and amounts to 77%. The color reproduction seemed very true to us, and the colors as such were vivid and rich. There is lots to look for, indeed, indeed. But the real highlight of this screen are the viewing angles. Their are crisp and stable, just the way you want them to be. 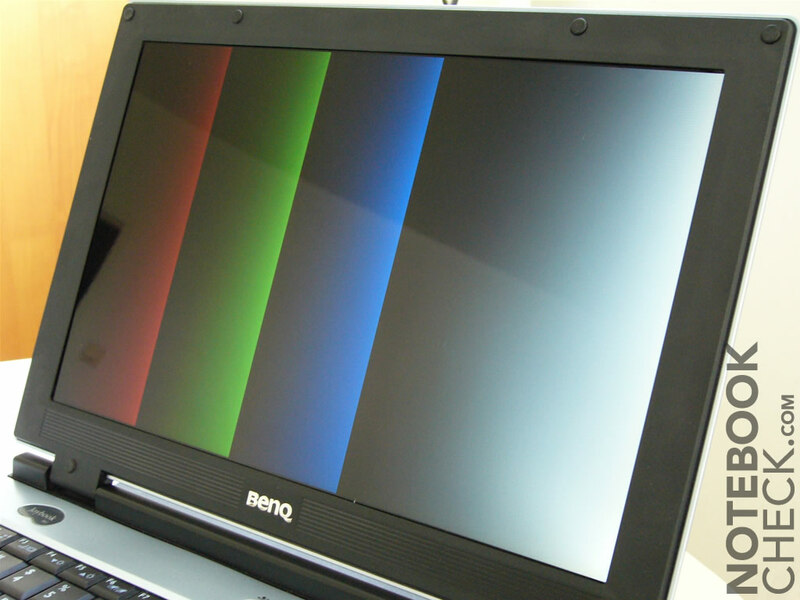 This is where the BenQ laptop shines. 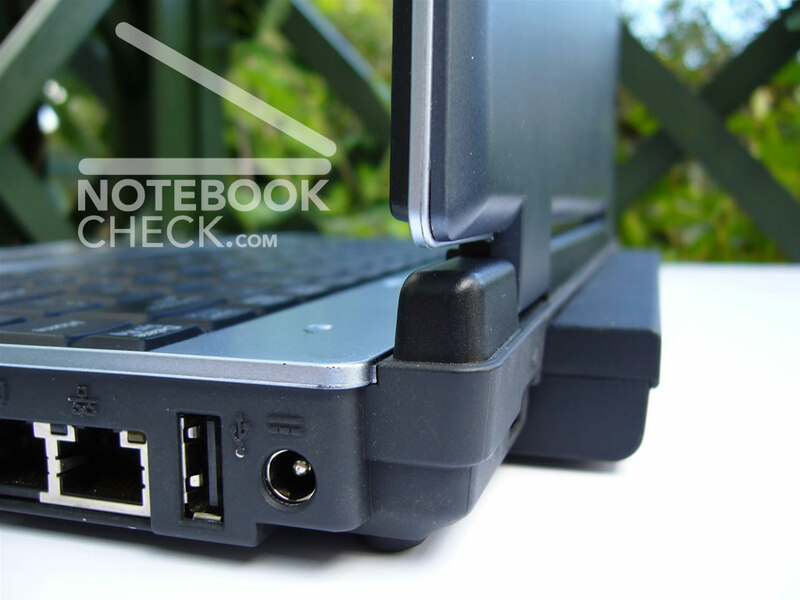 Considering the fact, that Joybook S61 is equipped with a Intel Core Duo T2300 (1.66GHz) processor supported by 1GB RAM, one could expect some respectable performance out of it. Fair to say we weren't disappointed, and all the main components function flawlessly. One has to note, though, that this is a notebook for office use only - so forget about any entertainment at lunchtime break. All the components work like clockwork - all with the exception of Phillips DVD-burner. As already mentioned, it shows a little bit of defiance time and time again, getting stuck and simply giving out. 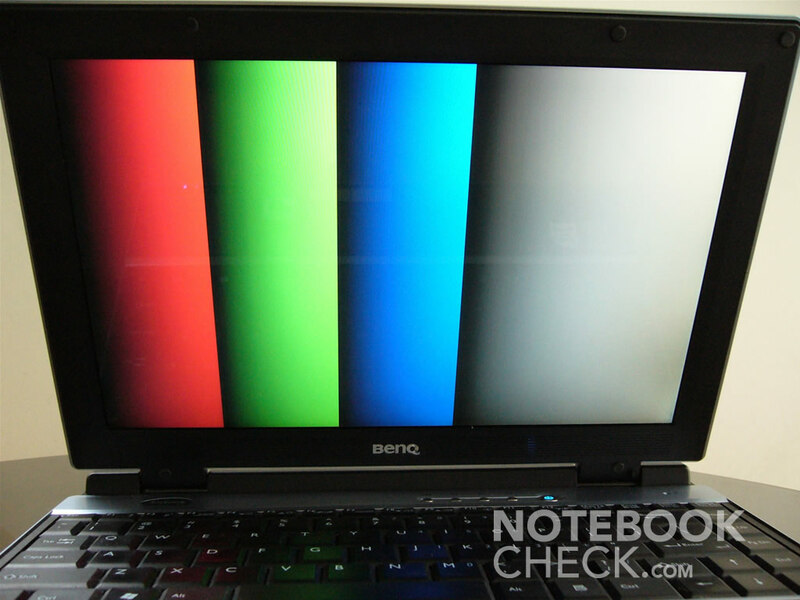 In addition, it has difficulties with disc recognition. What's more, it's pretty loud. 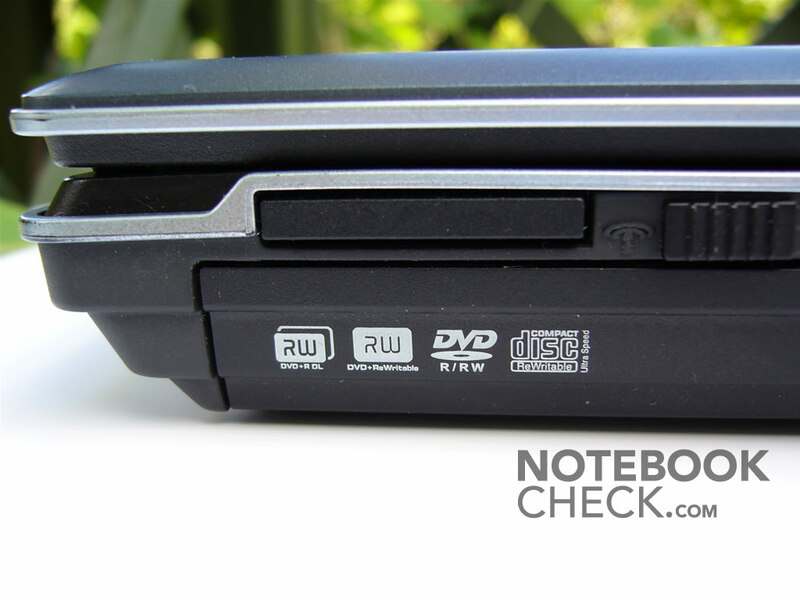 Therefore, the bad repute of Phillips' optical drives was validated in our eyes. 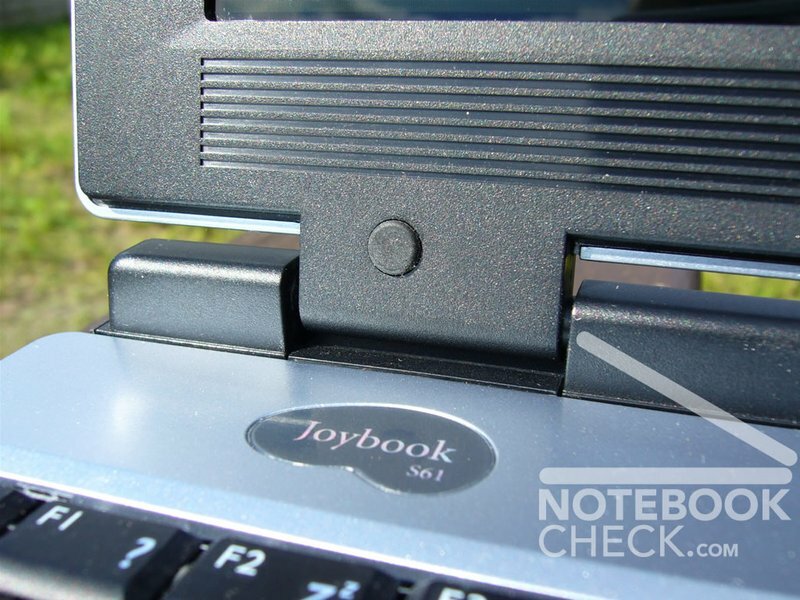 Joybook S61 isn't the quietest laptop you can get. 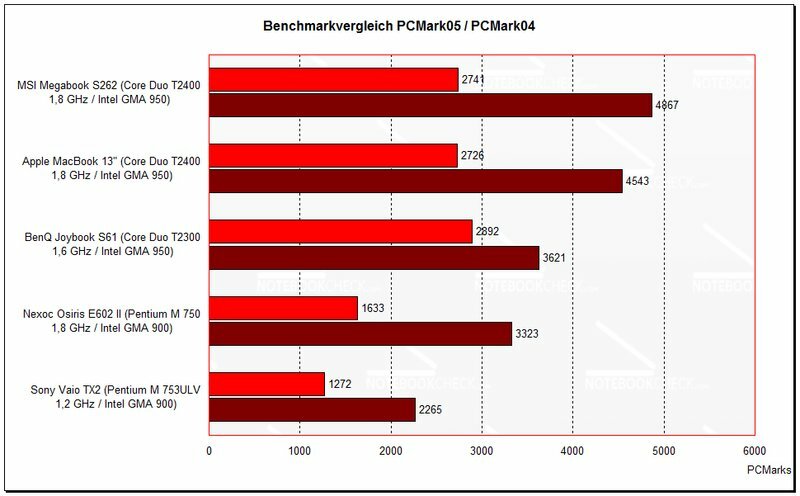 The fan turns on quite often, even while the computer is idle. With maximum load and continuous fan operation it can become pretty loud (not hurting your ears, but still). The optical drive is even louder when playing a DVD. With the full speed of CD rendition it's getting even worse, while the whir of the drive becomes quite troublesome. After some laborious work Joybook tends to heat up quite a bit. 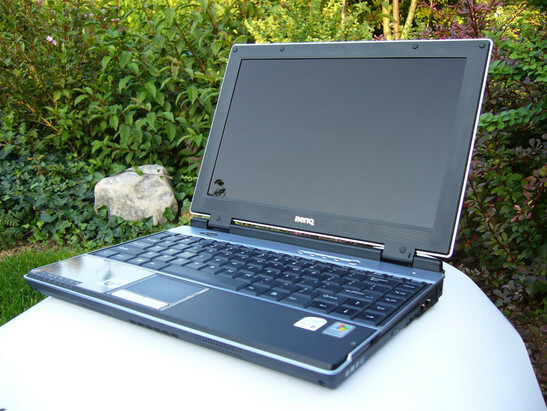 It is especially noticeable at the bottom, where we've measured a maximum of 48.2 degrees C. This level of temperature can become inconvenient in the long run, when one is using the notebook on the lap. On the top side of the platform much nicer temperatures are pervading - the measured maximum amounted to 37.2 degrees, which is close to the temperature of the human body. They're simply obnoxious. The sound is shallow, and their response bandwidth is evidently inadequate. The trim of the bandwidth manifests itself especially in the low tones range, of which there is no trace. One shouldn't bother about them and resort to an external set or headphones. 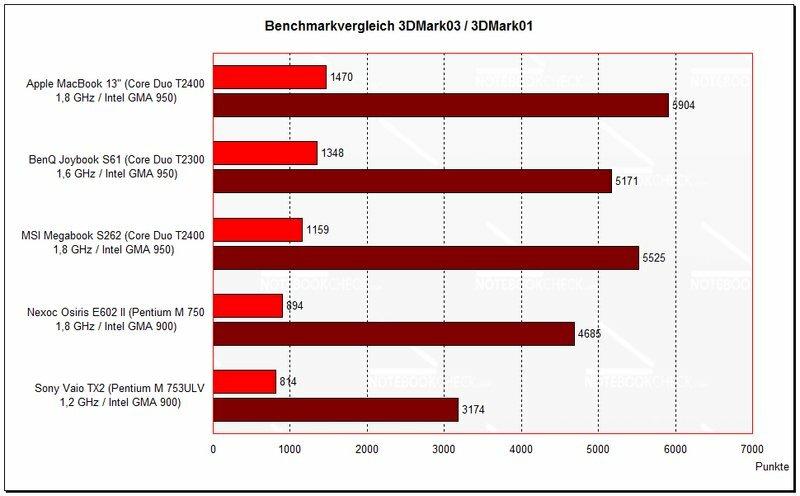 The battery life time is quite good, but not quite as good as that of the recently tested Lenovo V100, which has a more powerful processor (but it also has a more capacious battery). 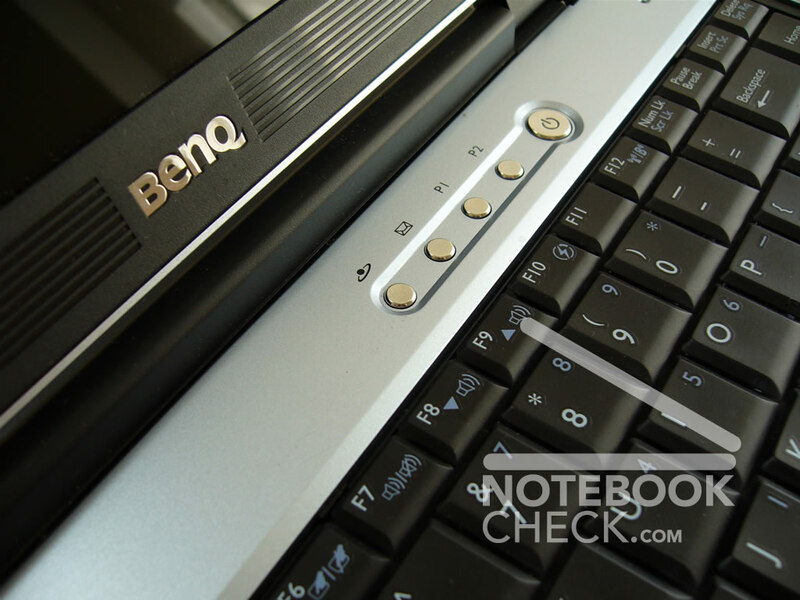 BenQ Joybook S 61- now that's what we call a true laptop. 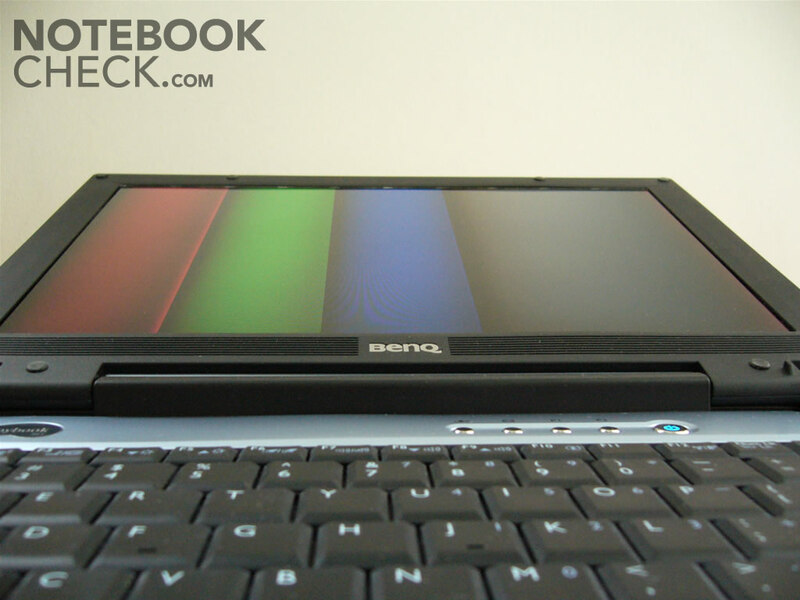 This is not a fragile little dandy of the same kind as Sony Vaio TX2 (which we we're testing simultaneously). The strengthened by means of metal braces chassis, which makes it so sturdy, is a guarantee for a reliable and longtime use. Due to its durability Joybook S 61 is very suitable for the work outside (it's a shame it has a glaring screen, which is haunted by awful reflections with sunlight). It's a device for someone who doesn't really care about the looks (peculiar mix of the Far East gadgetry and coarse, archaic design) and won't be bothered by a relative noisiness of the computer. So, it would be a perfect fit for a construction engineer, land surveyor or a landscaper.